In this series, we ask professionals our cottage-related questions. 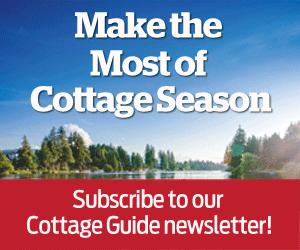 See more Ask A Cottage Expert in our Cottage Guide (on newsstands now or order it here)! 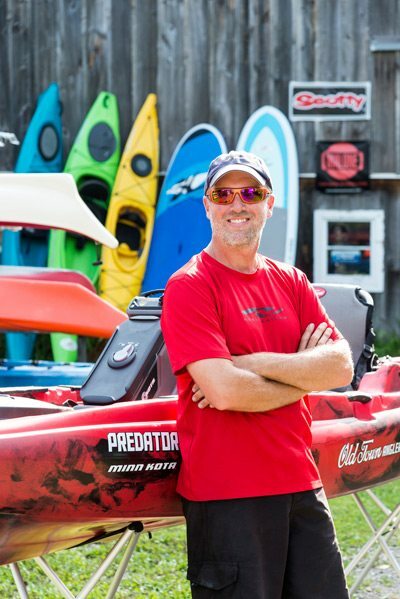 Jason Kirby, paddling pro and owner of Jenda Paddlesports. Photography by Dwayne Brown. What does paddling offer that other types of boating don’t? It’s a bit more ecologically friendly and it’s cheaper than motorboating, but more importantly, it’s a way to de-stress. You don’t have to worry about anything except what’s in front of you. How do people know if a canoe, kayak, or stand-up paddleboard is right for them? All three have their uses. Canoes are great for families, getting out camping with the kids. They can carry more gear but are harder to paddle solo and struggle in the wind. Kayaks are great for people who want to get on the water alone or with one other person, and they’re a lot easier to get out of the water by yourself. Stand-up paddleboards are just a totally different way to get on the water. They give you exercise. They’re light and they’re easy, but you have to be sure to get the right board for you. If you do, they’re really stable. What are some of the best paddling spots in the greater Ottawa area? I like runs from Kilmarnock Lock up Kemptville Creek. I finish this route with a trip to the Yellow Canoe Café in Merrickville. A lot of the Rideau River is chocolate-milk-coloured, but this stretch is really clear. Either. In my area, the rivers are no different than the lakes — they’re just a different shape. There’s a small current but nothing that even a beginner has to worry about; they’re all flat water. On larger bodies of water like Big Rideau Lake or the St. Lawrence, you can get swells that pick up and create difficult conditions for beginners. How does the added mobility of having a boat to paddle enhance the experience in our region? Even in a race, you’re not as fast as a motorboat. A canoe or kayak forces you to slow down and enjoy more of what’s around you. Life today is too fast-paced. As far as I’m concerned, paddling will give you a longer, healthier life.